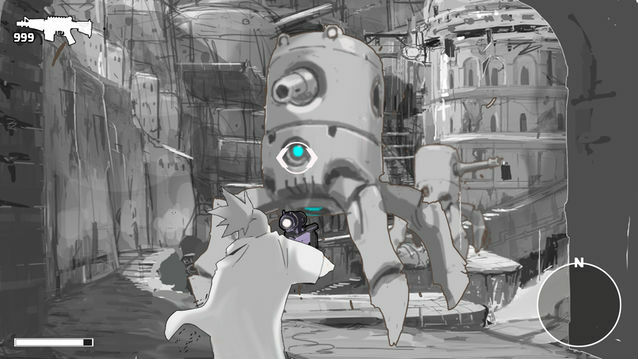 Red Ash: The Indelible Legend isn't having quite as successful of a Kickstarter campaign as Mighty No. 9, which was basically funded instantly. It's currently sitting at roughly $300,000 of its $800,000 goal, and for the game to basically meet the full vision, it needs to meet a stretch goal of $1,300,000. To give you a bit more incentive, the team has provided this mockup image, showing off what Red Ash may look like when it's finished. Yep, it looks a bit like Mega Man Legends alright -- I wonder what the team can do to keep this campaign going and actually meet its final goal. Personally, I think they should have waited to ship Mighty No. 9, then use that launch to push Red Ash.